Africa is a varied continent. It is one of the most sought-after tourist destinations in the world. 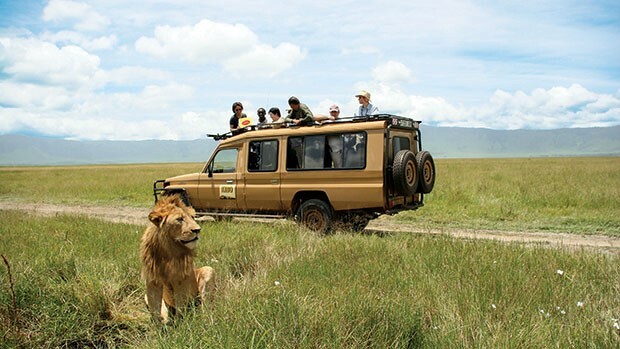 It is a dream safari destination that rewards even the most adventurous with its numerous fascinating tourist wonders and mind-blowing attractions. However, the increased exposure of Africa to both the African and tourists from other continents boosted Africa travel experiences but has also pushed up the cost of travel. Q2 Travel gives you a few Africa budget travel tips to help you negotiate your way out in Africa. Getting to Africa can be one of your greatest travel expenses. The sooner you can book your flight the cheaper it will be. There are many discount airlines to Africa so do your research to find the cheapest one. Keep in mind that traveling in Africa is characteristically adventurous; there are also more popular times. If you are traveling in the tourist season, or during a long weekend or festival, cheap flights will tend to sell out a lot faster. If you can’t seem to find a reasonable flight price try changing your dates. Even by just a few days can help. Flights are generally more expensive during special season particular Christmas and end of the year. On arrival, you should have a visa/passport to the airport and, respect and check all visa rules with your travel agency. The climate of Africa ranges from tropical to subarctic on its highest peaks. Know the appropriate time of the year for your travel to your destinations of choice. Find out the busiest travel period, what you need to carry, and the season of the event or activities you would like to see. Do an online search about the weather of your destination before deciding when to set off. It is very important to plan your stay correctly to enjoy your Africa holiday to the full. Again booking ahead is paramount. It guarantees you what you want. Africa has several types of accommodation ranging from hotels, guest houses, bush lodges, spas, bed and breakfasts, tented camps, boat houses, game lodges to name but a few. Good hotels at good rates go quickly. If you don’t want to book in advance then be prepared to be patient. Guest houses and lodges are very popular for Africa safaris. The further away from a city centre and tourist sites the cheaper accommodation gets. When choosing your hotel, consider access, security and available facilities. First, trust the venue before putting yourself in vulnerable situations. Saving money on food when traveling can be the most difficult part. You want to eat well and save money at the same time. Experiencing different cultural foods can be one of the best parts of traveling. Try and keep your eating habits at bay. Choose to go to the grocery store to buy at once is also perfect. Buy bread and make sandwiches in your hotel room before heading out for the day. Of course, you will still want to dine out and enjoy the African cuisines; we recommend that you make sure you set a budget for dining out so that you know how often you can afford to do so and what you can have. In all honesty, public transport in Africa isn’t very reliable. Booking an organised tour can be very economical and convenient. It is best to speak to an experienced Africa tour operator like Q2 Travel to get the best service possible within your budget. Traveling to Africa for an adventure holiday can be both inexpensive and extremely exciting. Depending on the availability of money, decide on a budget and time frame that will suit your travel and plan ahead.